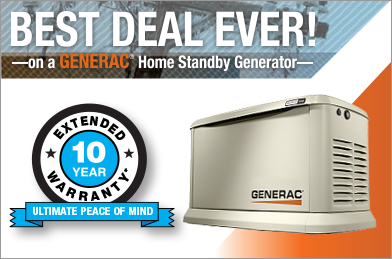 Is a Standby Generator a Good Investment? Blackouts happen. Just look at how storms over the past years have hammered neighborhoods and turned them dark. Without electrical power, there is no air conditioning, heat, or any way to keep foot cold. A lot of money can be lost when the power goes out, which is why there are individuals that invest in generators so they don’t have to deal with those losses. While a generator does require an initial investment, fuel, and maintenance, the long-term cost can be beneficial when you live in an area that is subject to power outages. For instance, Minnesota, North Dakota, and Wisconsin can see wild storms in the spring and summer and debilitating snow storms in the winter. These present plenty of opportunities for the power to go out for extended periods of time. Just look at what some of the most significant storms that have hit the country have done: They have left people in the dark. For many, one of the first things they do is run to the big box stores to buy portable gasoline-powered generators. Unfortunately, the stores may not carry many of them. This then forces them to order more and it can take time for the generators to come in. Many times, the generators don’t come in until the power comes back on and that means a person was left in the dark anyway. You also have to consider the fact that portable generators will only power so much. You can power your essentials and also have to ensure that it remains fueled up so you are not in the dark again. Standby generators give you a solid solution to an extended power outage and, being in these northern states, these outages do happen. They are permanent installed and provide days worth of uninterrupted backup. They are able to do this because they are connected directly to the electrical panel and powered by a liquid propane, natural gas, or diesel fuel supply. When the power goes out, the generator can power up within seconds of that detected outage. Its power is transferred to your home or business and you are ready to go. When the municipal power comes back on, the generator will shut down and the home or business reconnected to the power grid. Professional generator installation is a must so you don’t have to. A portable generator is something that you will have to install yourself. A standby generator is installed by people who ensure it is done safely and who will also test and maintain your generator for you. So there you have some reasons why a standby generator may be a great investment for you. When the rest of the area has gone dark, you can continue on like usual rather than trying to figure out how you are going to deal with the outage.